Bryan Aspey is an award winning guitarist, composer and producer. He is known for embracing a wide range of musical mediums – from cinematic, expansive indie rock to acoustic world music to ambient electronic. Bryan considers himself a music advocate and a bit of an archaeologist, passionate about unearthing excellent forgotten music and bringing it to the forefront. 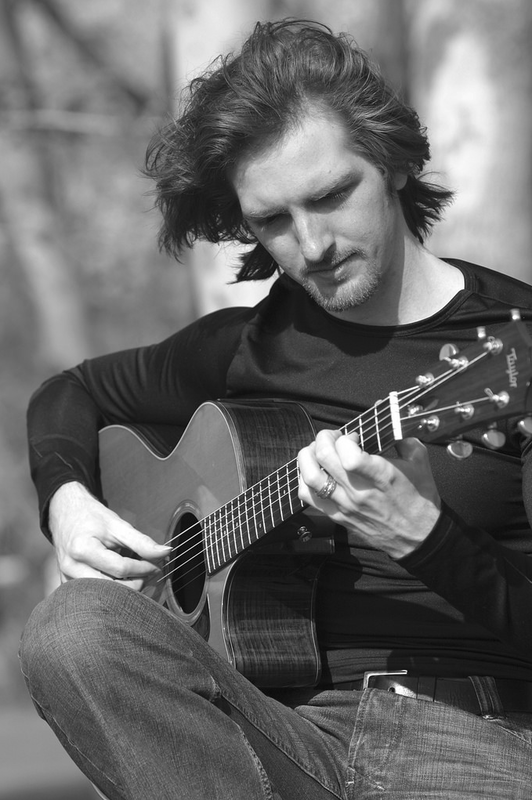 Before focusing his energy on creating music for picture, Bryan received a degree w/ honors in Composition and Audio Engineering from James Madison University; recorded and toured with Scottish fiddle virtuoso Bonnie Rideout; produced the solo acoustic album, Frozen Hours that Jorge Strunz called, "Very creative mixing of influences. Gracefully achieved. "; won multiple international guitar competitions; and produced popular videos for Gibson Guitar Brands. Bryan's recent productions include: PSAs for Seth Rogen's Hilarity for Charity and Adopt-a-Pet.com, and a James Franco event video. Bryan recently produced the title song, featuring vocals by Peter Stormare, for the indie horror-comedy film: Garden Party Massacre. Bryan lives in Los Angeles with his wife, animal advocate and author, Amy Luwis, and their rescue pit bull, Isabelle.